Botox® and fillers are both easy non-invasive ways to recapture youth, improve facial contours, and help you achieve your beauty goals. Botox smooths away wrinkles in the forehead and around the eyes while fillers can erase deep folds or add volume in areas like the lips. 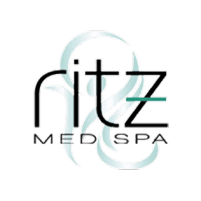 Contact the experienced aesthetic providers at Ritz Med Spa in Franklin, Tennessee to learn more about Botox & fillers and schedule your treatments. Botox is an injectable formula that's used to relax and target wrinkles. Botox relaxes the muscles that make the wrinkles, which means that you'll no longer be constantly creating new lines and reinforcing established ones. Botox is FDA approved for the treatment of moderate to serious wrinkles in the face. It's also used in the underarm area for the treatment of hyperhidrosis (excessive sweating). Botox lasts for between three and four months in most patients. However, it can last for as much as six months in some cases. Dermal fillers are injectable formulas that can add volume to the face. They're often used to correct deep facial wrinkles or facial folds like the nasolabial folds on either side of the nose and mouth. Dermal fillers can also be used to add volume in other areas. For example, many patients opt for dermal fillers in their lips to achieve a fuller, poutier look. It depends on the dermal filler. Most dermal fillers last for anywhere from six months to a year, but certain fillers like Juvederm® Voluma can last for as much as two years. Ritz Med Spa offers a variety of dermal fillers and is happy to help you choose the one that will meet your aesthetic goals the best. Can Botox and Fillers Be Combined? Yes, you can have Botox and fillers together, and in fact they can be done in the same appointment if desired. Botox is best suited for correction of the fine lines and wrinkles that occur due to muscle movement, and dermal fillers are best suited for correction of wrinkles that occur due to volume loss. Each product has its own unique use, and they combine especially well because it allows for all types of wrinkles and lines to be corrected. How Long Does it Take to See Results with Botox and Dermal Fillers? With Botox, results can be seen in anywhere from several days to a week. Dermal fillers take effect immediately and you'll see results before you even leave the Ritz Med Spa office.